Parsava Parivartini Ekadasi, also known as Vamana Ekadasi or Padma Ekadasi, is one among the numerous names of the Ekadashi fasting observed on the 11th day of the Shukla Paksha (waxing phase of moon) in Bhadrapad month (August – September). Parsava Parivartini Ekadasi 2019 date is September 9. It is called Parsava Parivartini because Lord Vishnu who is sleeping during the Dakshinayana period turns from left side to right side. 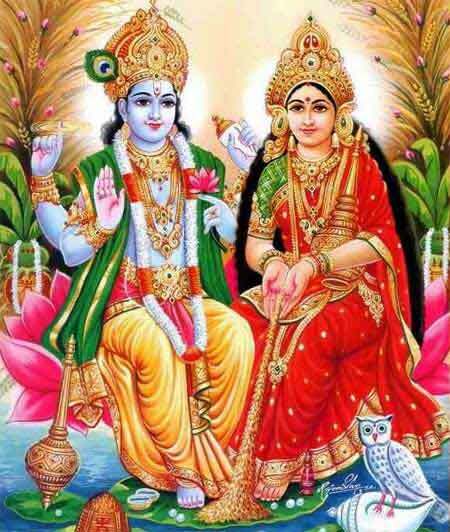 This Ekadasi is also known as Jayanti Ekadashi. Bhadrapad or Bhadra month falls during the Dakshinayana Punyakalam and is also the second month in during the Chaturmas period. Popular belief is that the period of Dakshinayana is the night time of Gods. Lord Vishnu is believed to be sleeping during the period. The Vamana Avatar of Lord Vishnu is believed to have appeared on this day. This Ekadasi is also therefore known as Vaman Ekadasi. In Gujarat, Parsava Parivartini Ekadasi is observed as Jal Zilani Ekadasi. Those observe partial Ekadasi fasting on the day as usual skip food items made of grains and rice. Some people opt for complete fast. The greatness of Parivartini Ekadasi was narrated to Yudhisthira, the eldest of the Pandavas, by Lord Krishna. It is believed that those who observe this Ekadashi will be absolved of their sins. How to Perform Puja on Parivartini Ekadasi? Clean house or puja area and take bath. Wear yellow color dress and offer puja in mind to Ganesha. Keep the Vamana Avatar murti or Vishnu sleeping on Milky Ocean in the northeast corner of the house on a yellow color cloth. Dhoop or agarbatti should be of chandan fragrance. Offer a piece of sugarcane or a seasonal fruit like yellow color banana. Bhog or naivedya should be kheer or payasam. Chant the mantra ॐ वैष्ण-वर्क्ष-विभूषणाय नमः॥108 times. To overcome financial problems and debt offer sugarcane juice to Vishnu during puja. Later this should drank as prasad. Offer milk to Vishnu and later use it to prepare a sweet. This will help in desire fulfillment. To overcome family problems and for better relationship among family members donate uncooked rice in a Vishnu Temple. How to perform Ekadasi Vrat?